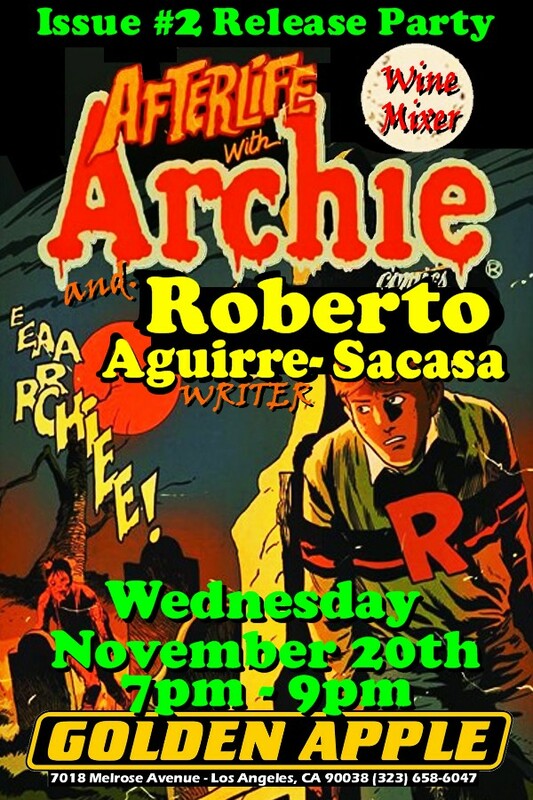 To coincide with the release of the much-anticipated Afterlife With Archie #2, we’ve got not one, but TWO signings featuring the artistic team behind the most talked about comic of the year. Click here for all the event details. THEN, on Saturday, November 23rd, 2013, join Eisner Award winning series artist Francesco Francavilla at DR. NO’s COMICS AND GAMES SUPERSTORE in Marietta, GA from 2:00 PM – 4:00 PM. Meet the artistic mastermind behind the Afterlife who will personally sign your copy.